What is an Irrigation Pipe? Irrigation pipes are used to distribute water underneath the ground as part of an irrigation system. An automatic sprinkler for irrigating a lawn. An irrigation pipe or tube is the prime way through which water is transported from one place to another. An irrigation system is commonly built beneath the ground and distributes water to both rural and urban areas. The main use of an irrigation pipe is to water the soil. Crops, lawns, and gardens are protected from insufficient amounts of rainfall through this system. Proper water management can also prevent soil consolidation and frost. When it comes to agriculture, there are two main types of irrigation systems. Surface irrigation includes furrow, border, flow, and basin irrigation and is used when the ground is in need of watering. Pressure irrigation is usually preferred when pumps are used to bring water deep within the land. Irrigation siphons bring water from an open channel to the furrows, where little inclinations are required for flow. Border and basin irrigation depend on soil barriers that heighten the soil where water is delivered. The basin in border irrigation, however, has a longer length but a shorter width. In flow irrigation, the water is randomly spread over the soil from an angled channel at the front of the field. In pressure irrigation, the soil is watered by closed irrigation pipe systems through a drawing effect. In the drip irrigation system, specially designed tools called "droppers" found on the inside of a lateral pipe apply drops of water directly around the root of the plants. 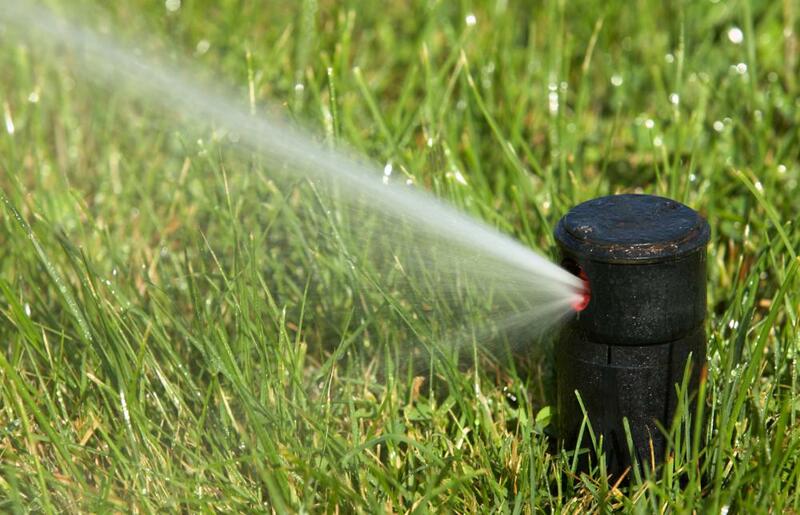 Sprinkler irrigation is another type of pressure irrigation. The start of an irrigation pipe system is at the source of the water, usually a well. The pipes draw from the supply and travel through the mainline valves to the sprinkler systems. An irrigation pipe is fitted and attached to the sprinkler’s inlets at the bottom, and the top of the head flush is usually adjusted with the ground surface. As the pressure builds, the sprinkler’s head rises from the ground, waters the area and shuts off when the valve closes. Irrigation systems are usually divided into zones, which consist of a single valve grouped with one or more sprinklers connected by pipes. These zones make sure there is enough water pressure to distribute around the required area. The solenoid valves are controlled by irrigation controllers, which manipulate the specific time of operation. A "smart controller" is capable of analyzing current environmental conditions and adjusting the operation time by itself. It uses a moisture sensor and weather station, and takes into account the historical environmental conditions of the region. What Is a Sprinkler Solenoid? What Is a Solenoid Controller? What Is a Barrier Pipe? 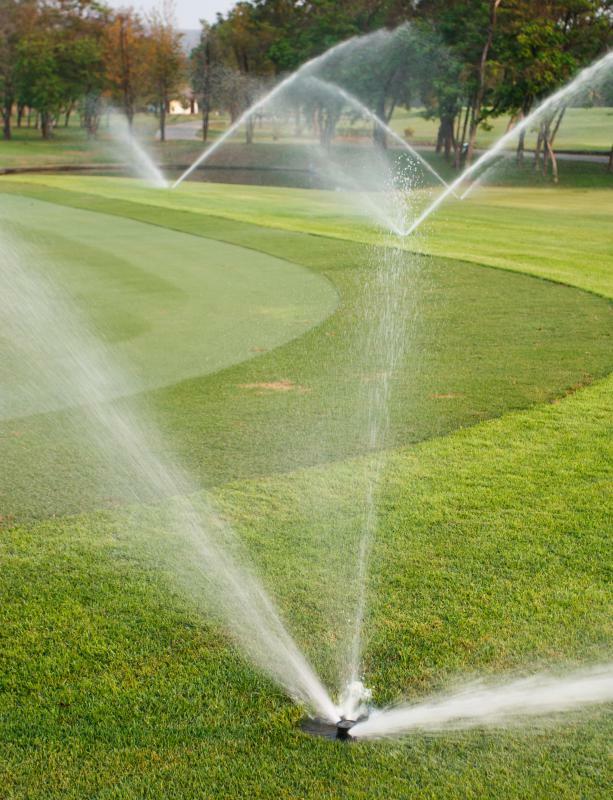 What are the Best Methods for Irrigation Repair? How do I Choose the Best Irrigation Companies?